The two-hour car trip from her home in a suburb of Washington D.C. to graduate classes at EMU’s Center for Justice and Peacebuilding in Harrisonburg, Va., is a minor inconvenience for Suraya Sadeed, an Afghan-American woman who has spent days on horseback and foot to oversee the delivery of relief supplies to destitute Afghans, who has donned a burqa (shrouding herself head to foot) to navigate through Taliban-controlled Kabul, and who has seen bombs exploding before her eyes. Students in the “Read Afghanistan” program enjoy HTAC-produced bilingual storybooks while improving their literacy skills. Sadeed, founder and executive director of Help the Afghan Children (HTAC), officially began the MA program in conflict transformation at EMU in January 2010. Sadeed hopes to learn more about development, trauma healing and peacebuilding, while exchanging insights with others doing similar work. It takes imagination, though, to see how Sadeed could be more effective than she has been – over the last 18 years, her organization has touched the lives of more than 2 million Afghan children and their families. Sadeed was born and educated through the undergraduate college level in Kabul, where her father was the governor at one point. 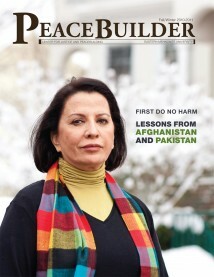 She left Afghanistan with her husband for graduate studies in Beirut, Lebanon, in 1977. Two years later the Soviet Union invaded Afghanistan, causing her to opt to stay away from her home country. Suraya Sadeed and her work have been featured in major U.S. media outlets, such as Oprah, NBC’s Today show, and the Los Angeles Times magazine. Supporters of her schools include Oprah’s Angel Network, AmeriCares, and Mennonite Central Committee. Sadeed moved with her family to the United States, became a U.S. citizen, and concentrated on building a successful family business. After the death of a family member, Sadeed returned to her native country as part of her grief process. Seeing it for the first time in 15 years, Sadeed was shocked at what she found – the people of Afghanistan were suffering from deprivation, illnesses, violence, and illiteracy. 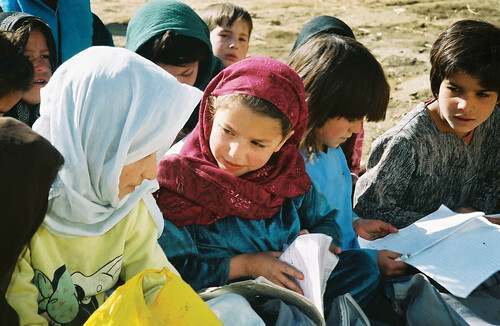 In 1993, Sadeed launched Help the Afghan Children with the ambitious goal of providing food, medicines, tents, blankets, clothing, school supplies, hygiene kits, and other necessities to the millions of Afghans displaced and otherwise affected by war. Sadeed spent months raising money in the United States for HTAC-supported health clinics, orphanages, refugee settlements, and schools, returning repeatedly to Afghanistan to ensure that the money and supplies were being properly dispersed where most needed. In 1998, for example, Sadeed was part of a delegation that spent 11 days traveling by horseback and foot to bring relief supplies to a remote area of Afghanistan where an earthquake had taken 7,000 lives and left as many injured and homeless. During the Taliban’s brutal rule from 1996 into 2001, women were expected to remain cloistered in the home, even in the capital city of Kabul, and to be fully covered in a burqa if they had to step outside for any reason. So Sadeed donned a burqa (also called a chadri) and continued to bring desperately needed aid. To 750 children living in Kabul Orphanage, for example, she conveyed blankets, clothing, shoes, toiletries and writing supplies. Sadeed also led the delivery of 21 tons of medicine and medical supplies to three Kabul hospitals that were primarily serving women and children. She backed 17 home-based schools, where girls forbidden to go to school could be secretly educated. All HTAC schools teach therapeutic peace skills, with the boys particularly encouraged to replace aggressive behaviors with respectful, cooperative ones. The schools also offer environmental lessons and computer training. About 120,000 students have come through HTAC schools – more than 50 percent being females – including 2,700 in computer classes and 12,000 in a literacy program with HTAC-created picture books called “Read Afghanistan.” In addition, 3,500 teachers have been trained and passed teacher competency tests. 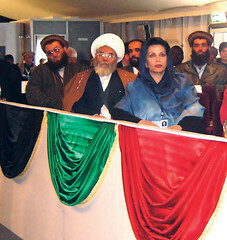 In 2002, Afghanistan’s Loya Jirga (grand assembly) recognized Suraya Sadeed (right front) for her work, one of ten women it honored. “We are trying to help build Afghanistan’s educational infrastructure in a way that will lead to permanent security and sustainability,” says Sadeed, whose work has been covered in Reader’s Digest, People magazine, the Los Angeles Times magazine, and in a documentary by Oxygen Media. She has appeared on Oprah and on NBC’s Weekend Today Show. Sadeed also has been to the White House to be recognized by George W. and Laura Bush and has testified before the U.S. Senate Foreign Relations Committee’s Subcommittee on Near East and South Asia. Greg Mortenson, bestselling author of Three Cups of Tea and Stones Into Schools, has called HTAC one of his favorite charities. Sadeed first heard about EMU’s Center for Justice and Peacebuilding (CJP) from a staff person at the U.S. Institute of Peace in Washington D.C., who told her CJP is “cream of the crop” and “respected worldwide” for its graduate-level peace studies. 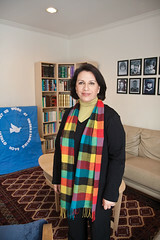 Sadeed inquired further and came to realize that CJP is rooted in the same peace-church tradition as Mennonite Central Committee, which has been providing funds to HTAC for eight years, and which worked with her to provide food and shelter to over 45,000 destitute Afghans during 2001, disregarding the danger posed by the raging NATO-Taliban war.